If you've always wanted to see the world, in 2017 you can do so in style. 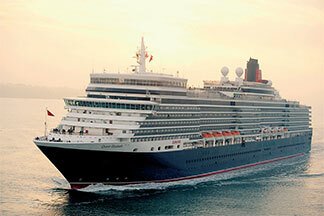 Taking a southerly course via South Africa, Queen Mary 2 puts Australia at the centre of her Eastbound World Voyage. 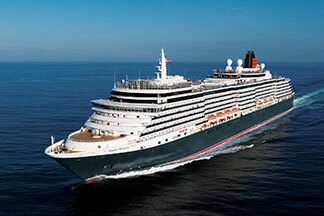 Queen Elizabeth’s westbound circumnavigation will allow guests to fully immerse themselves in destinations in the Far East and Asia while Queen Victoria will embark on a World Voyage towards South America and Australia, transiting the Panama Canal on her way back to the home port of Southampton. There is more than one way to explore the world with Cunard. Embark on one of the World Voyages and explore the world for over four months. Alternatively, Exotic Cruises offer you the opportunity to visit one or two continents, flying to join your ship at key points in her journey. Queen Elizabeth's circumnavigation leads you west over the Altantic to the Americas, the first stop of your classic world voyage. You'II then cross the Pacific towards New Zealand, Australia, Japan, South Korea, China, Vietnam, Singapore and Malaysia. Ahead lies the natural beauty of southern Africa before you return to Southampton. Queen Victoria's World Voyage will take you to the far side of the globe and home, for a leisurely adventure that places Central America, South America and New Zealand into the spotlight. It is a discovery that acquaints you with grand cities, dense jungle and friendly islands scattered across the Pacific. 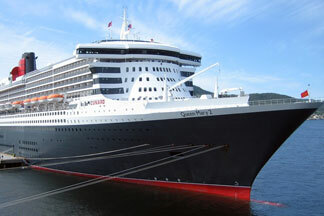 Queen Mary 2's epic circuit captures the imagination on each of the four continents she showcases. It is a route which strikes a harmonious balance between utter relaxation and thrilling discovery. Ten of her 42 calls are maiden visits, which mean nearly a quarter of her ports of call will welcome her for the very first time.